This is a neat box I built for Joel Hamilton at Studio G Brooklyn. 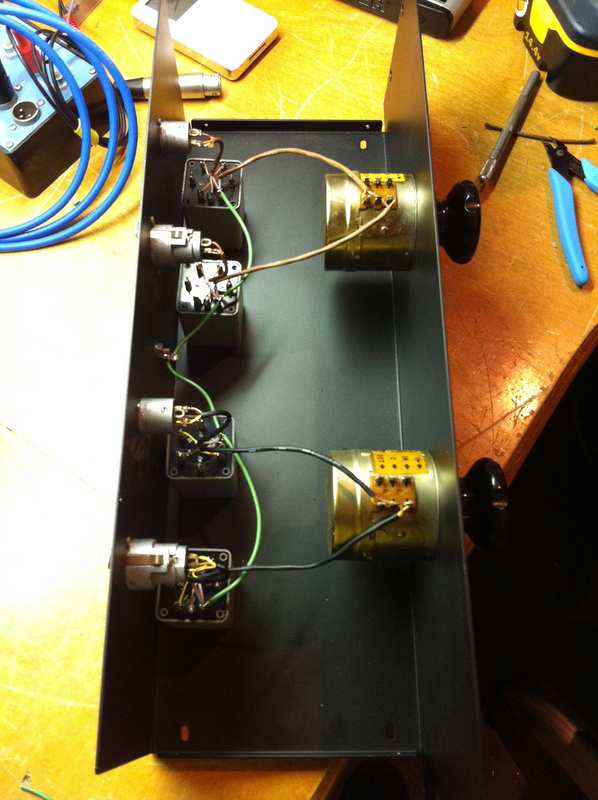 It is a simple circuit consisting of UTC transformers and Daven attenuators. The idea is that a hot audio signal can be sent in, saturating the input transformer. 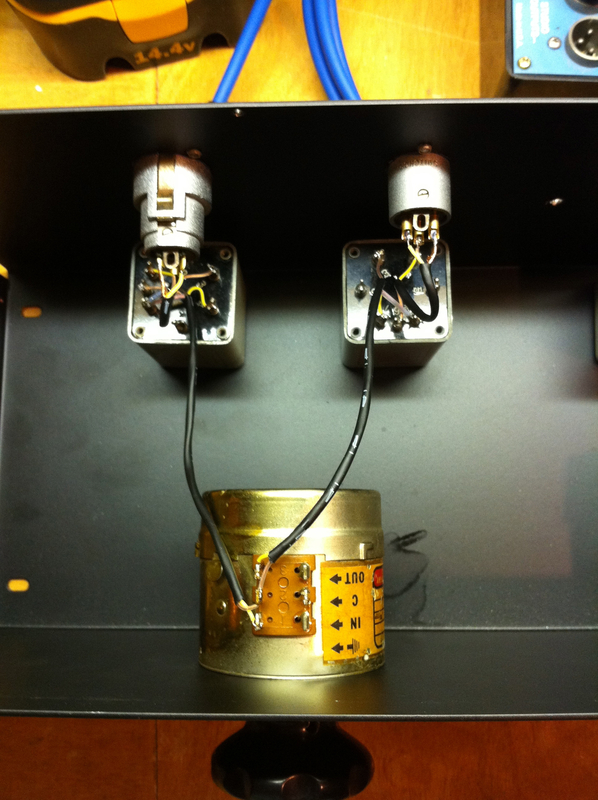 It is then attenuated by the Daven and sent back out through a second transformer. Joel likes to use it on inserts of the SSL so he can pump a track through a high output compressor like a Sta-Level or Collins 26U and then get some extra transformer tone before returning it at a reasonable level to the board. 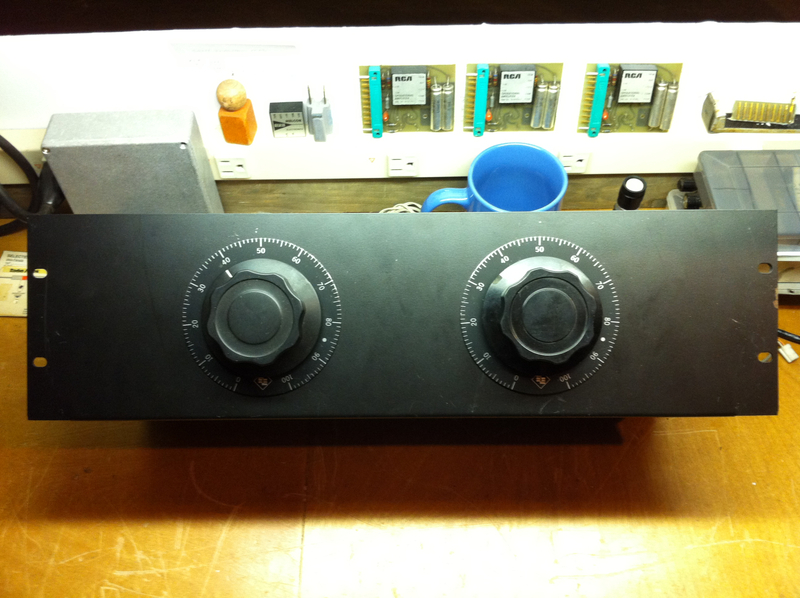 Since it is built into a 3 space rack case, we decided to get extra large knobs and dial plates for the Davens for a great vintage “black box” look! 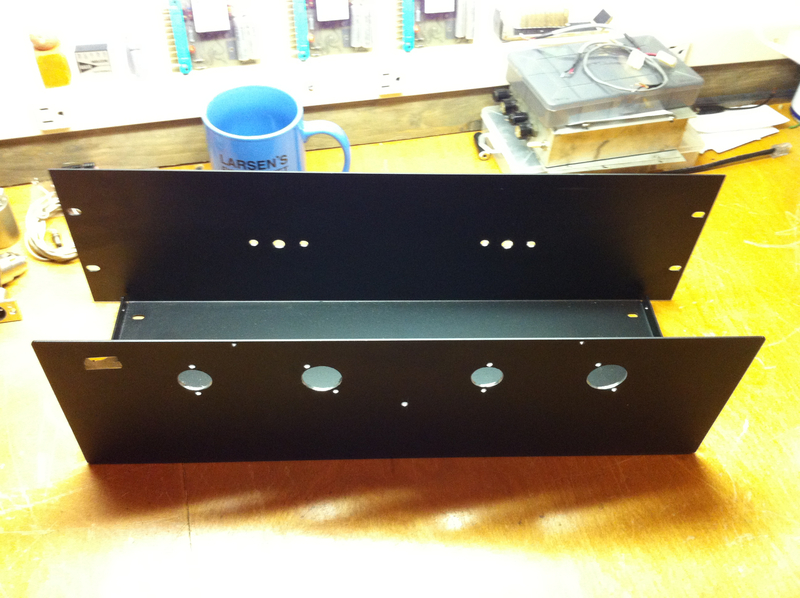 Chassis drilled full of holes.